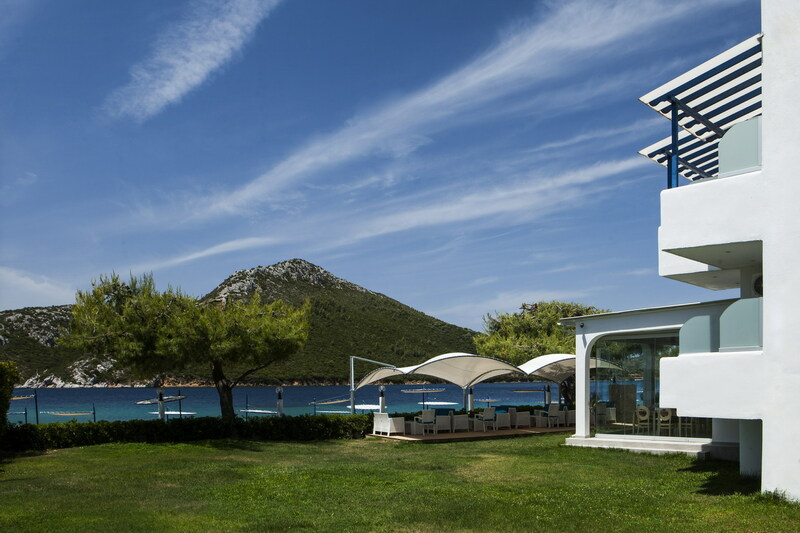 Combining modern trends in architecture, decoration and technology, the Porto Koufo Hotel ensures a pleasant stay. The rooms of the Porto Koufo Hotel are designed to provide unique comfort and warmth. 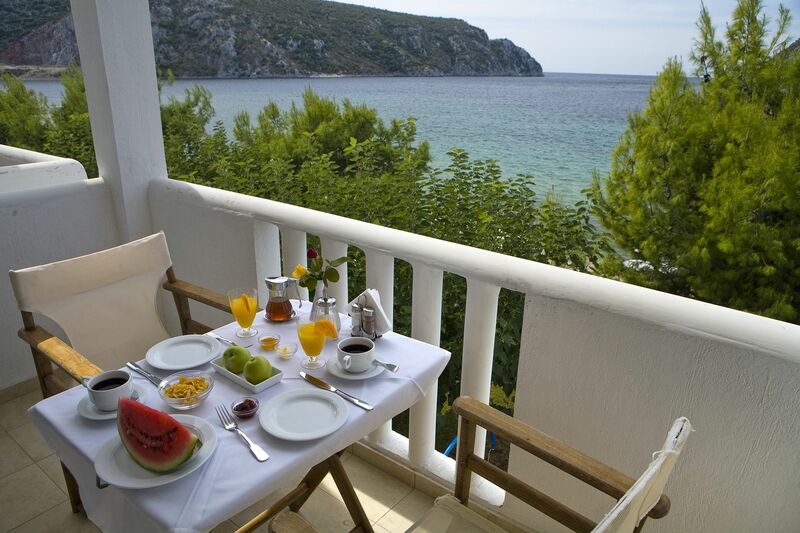 The rooms have wonderful views of the endless blue and the hotel garden. 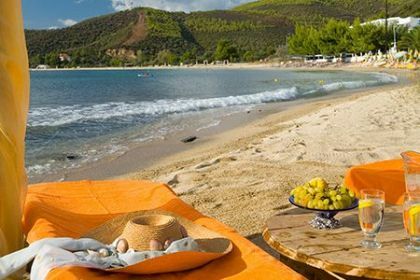 Porto Koufo Hotel has modern facilities and a host of services that guests can use for rest and recreation. 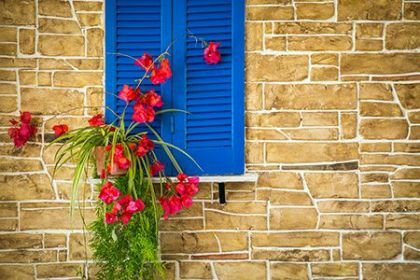 In the garden of our hotel you can enjoy your coffee and relax with the unique colors offered by Halkidiki. 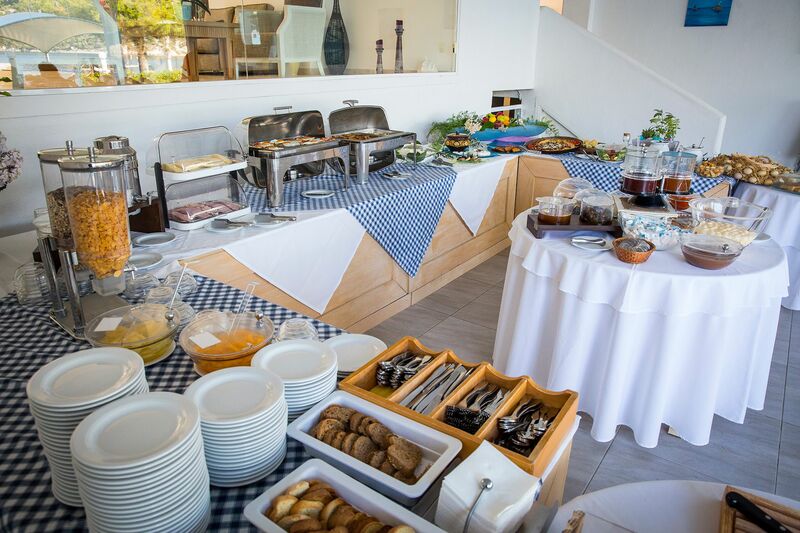 In the elaborately landscaped area of our hotel, a buffet of handmade Greek dishes is hosted. 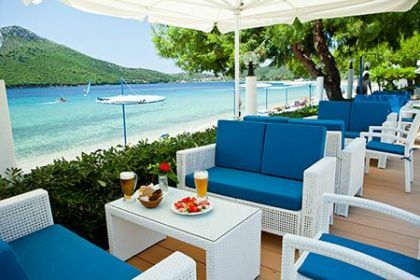 The area of the hotel makes 3000 square meters is located near the sea and is surrounded by pine trees, palm trees and an evergreen garden. 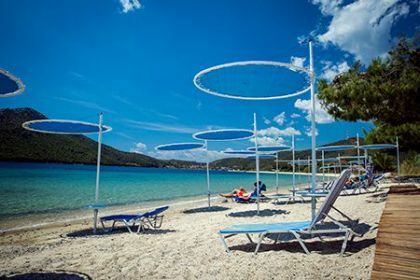 You can enjoy the rest in the shade of trees or we offer you free sunbeds on the beach. 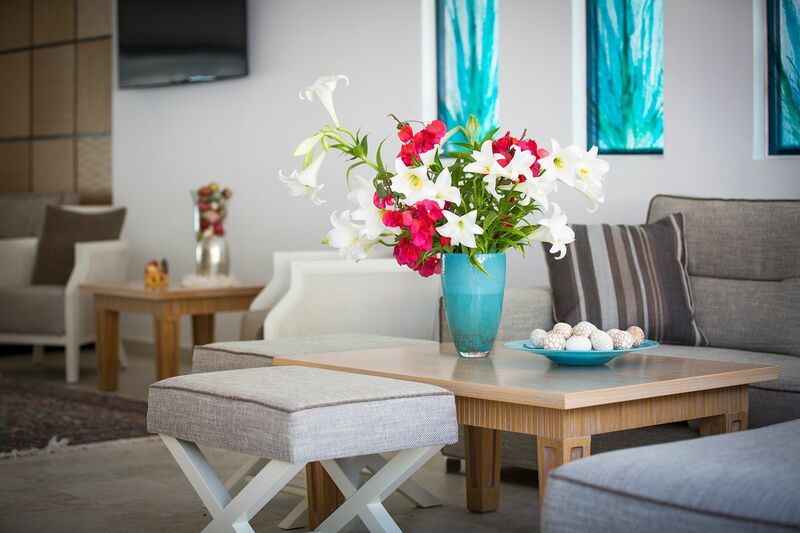 Free Wi-Fi in all rooms and in the full area of the hotel. 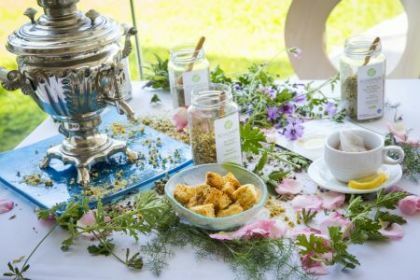 The hotel has a conference room equipped with optoacoustic imaging system for conferences and a large screen, sized 2, 70 m x 1, 80 m.
The breakfast is served in the garden near the sea. The products of buffet are only biological of local agriculture. On the beach there are umbrellas and sun loungers for each room free of charge. 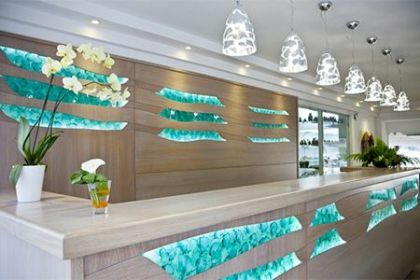 Hotel Porto Koufo is located in the second leg of Halkidiki in Sithonia. 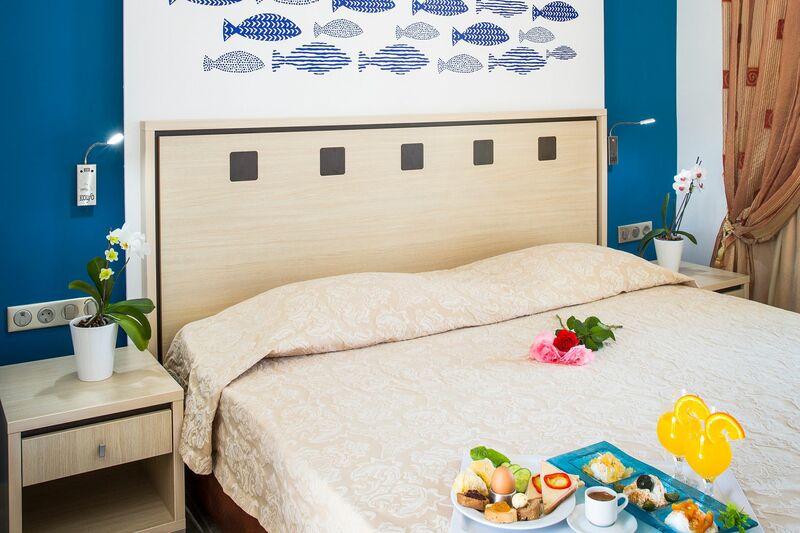 It is open from May until the end of September with an amount of 36 rooms, 3 junior suites and 10 studios fully equipped. You can enjoy the wonderful view from your balcony as you can see the first leg of Halkidiki, Kassandra or even Pilio mountain. The Hotel is next to the sea which makes it the best destination for your family and your kids. By the hotel you can find the parking to park your cars. Our fully experienced personel is always in the mood of helping you. 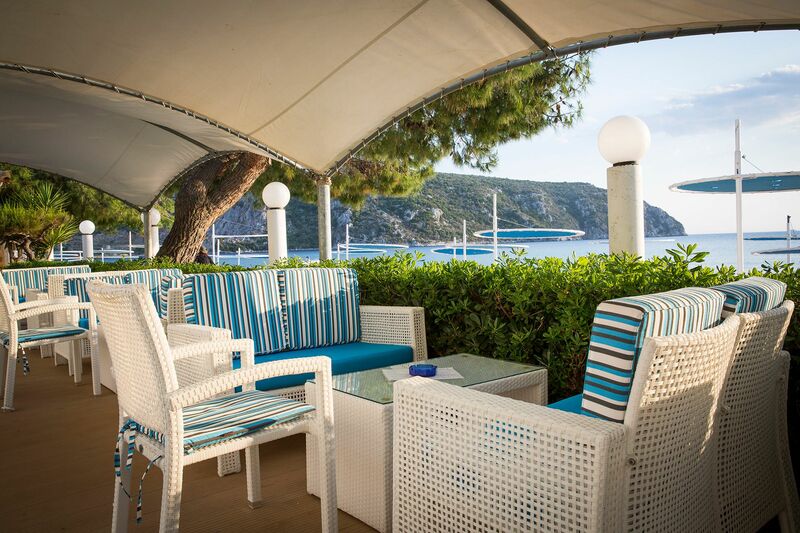 At the garden of the hotel you can find a cafe-bar and a dinning area so that you can enjoy the delicious mediterranean tastes and the calmness of hte sea.